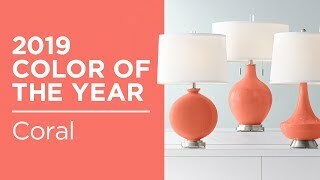 This Requisite Gray double gourd table lamp from the Color + Plus lighting collection offers a bright splash of designer color. 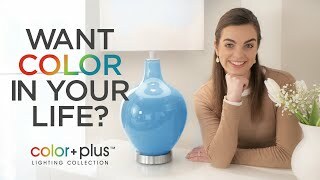 This double gourd glass table lamp from the Color + Plus™ collection offers a brilliant color accent for your home decor. The designer Requisite Gray base is hand-crafted by our experienced artisans in California, and is topped by a custom-made lamp shade. The shade features an exclusive Bold Stripe pattern and is printed to order. Shade process U.S. Patent # 7,347,593. Exclusive Requisite Gray designer color. High-quality plated bronze base and finial finish. Go full-scale contemporary with the cool gray finish and diamond print featured on this double gourd glass table lamp. Designer Swanky Gray lends a contemporary vibe to this double gourd glass table lampwhich is topped with a diamond print shade.